At the beginning of our epic search for the perfect grand piano my son, Joe, and I discovered Ben Wheeler’s showroom hidden deep in the Hampshire country side where he enthusiastically welcomed us into his piano paradise. We loved everything about the Grotrians but they were outside our budget. Ben suggested that a reconditioned piano might suit us and told us about a Grotrian that was being restored. In the meantime, we visited endless showrooms from Ringwood to Cardiff, from Soho to Finsbury Park. Ben kept in touch with us throughout our travels and we came to rely on his advice. When we started veering towards Petrovs he kindly found about them for us, even though he doesn’t sell them, and allayed our anxieties about Petrov’s previous reputation. We were seriously contemplating buying one when Ben’s reconditioned Grotrian arrived, a beautiful instrument that perhaps sounded even better than the new ones! We were very tempted but its age worried us. 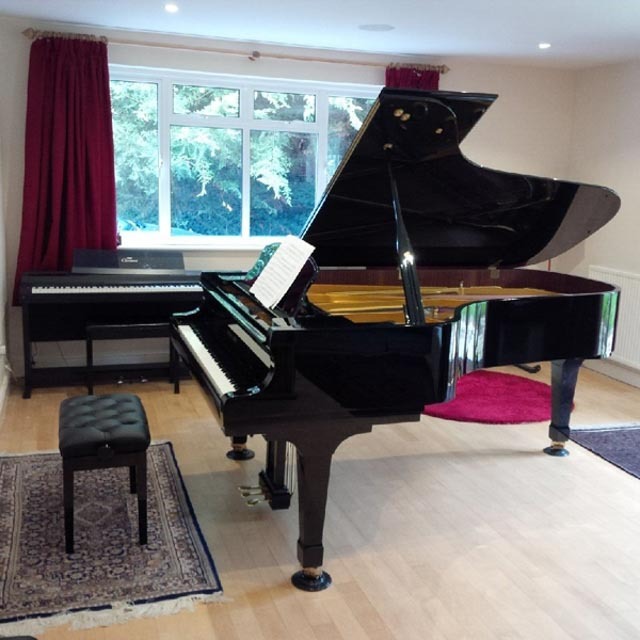 We were proving very hard to please but we had learnt a lot about pianos and we could now tell Ben what we wanted – we would like a large second hand grand piano of the highest quality that was not too old and had been well maintained. ‘Wouldn’t we all!’, was Ben’s response. A few days later Ben rang to say that he had, miraculously, found what we wanted – a ten year old Shigiru Kawai that had belonged to a music professor. Ben had it transported from Wales to his showroom so that we could try it. Needless to say we both loved it and it is now our most cherished possession. During our search we played some amazing pianos – and some terrible ones – and became, in a small way, connoisseurs of piano showrooms. Ben’s professionalism, enthusiasm and commitment to making sure that we ended up with the right piano, to say nothing of his ability to magic up an incredible instrument that was exactly what we wanted, sets him miles apart from anyone else we dealt with.